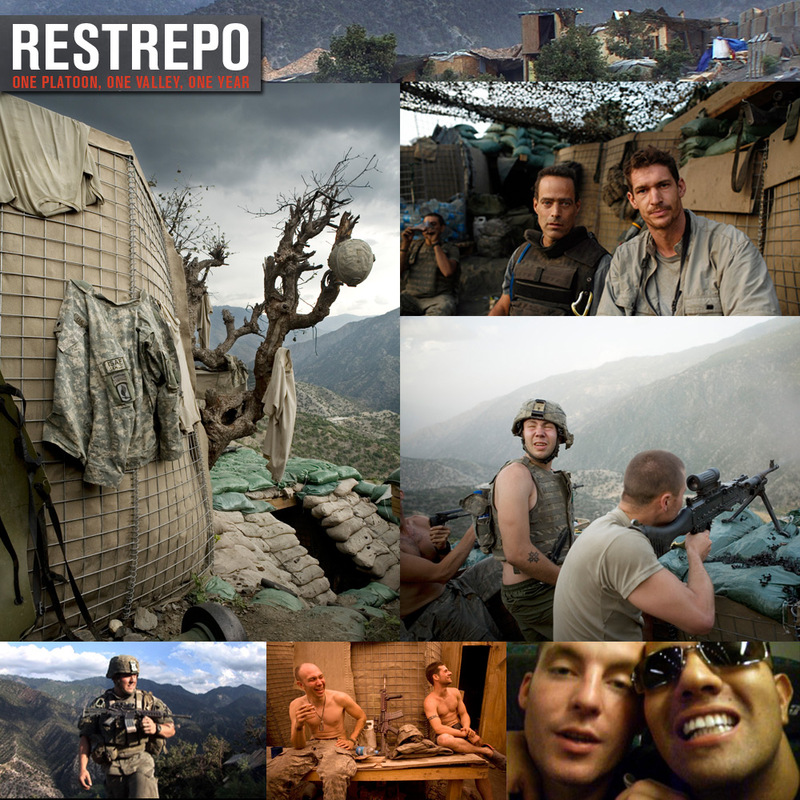 RESTREPO is a feature-length documentary that chronicles the deployment of a platoon of U.S. soldiers in Afghanistan’s Korengal Valley. The movie focuses on a remote 15-man outpost, “Restrepo,” named after a platoon medic who was killed in action. It was considered one of the most dangerous postings in the U.S. military. This is an entirely experiential film: the cameras never leave the valley; there are no interviews with generals or diplomats. The only goal is to make viewers feel as if they have just been through a 90-minute deployment. This is war, full stop. The conclusions are up to you. On November 16, 2010, Staff Sergeant Sal Giunta of the 173rd Airborne became the first living Medal of Honor recipient since the Vietnam War. His actions occurred in Afghanistan’s Korengal valley during the deployment chronicled in the movie “Restrepo”. This fourteen-minute video tells his story. Read the complete text of Tim Hetherington’s interview with Sal Giunta on Vanity Fair.